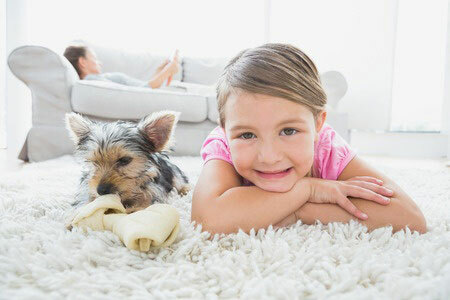 When life happens on the carpet, let us get it clean! Tile and grout cleaning can be a tedious task. Although some customers believe they can clean their tile themselves, this, in fact, can add dirt and bacteria to the problem. The Cavalry's approach to cleaning tile and grout is simple yet effective.We use a specific process that rids dirt off your granite floors and away grime. Our tile and grout processing is easy, simple and affordable. Yet, it takes a professional technician to clean tile and grout appropriately. If the surface is cleaned with the wrong solution, then the outcome can be costly. Calling a professional will save you time, money, and the agony of doing it yourself. Since 1998 we have been serving the residents of Southern Utah. Our family knows the value of working with people you can trust. We want you to know that you can trust us with your needs. We will not only clean your carpets and tile in the most effective way, we will do all that we can to make sure that they stay clean as long as they can. We will do this at a competitive price.